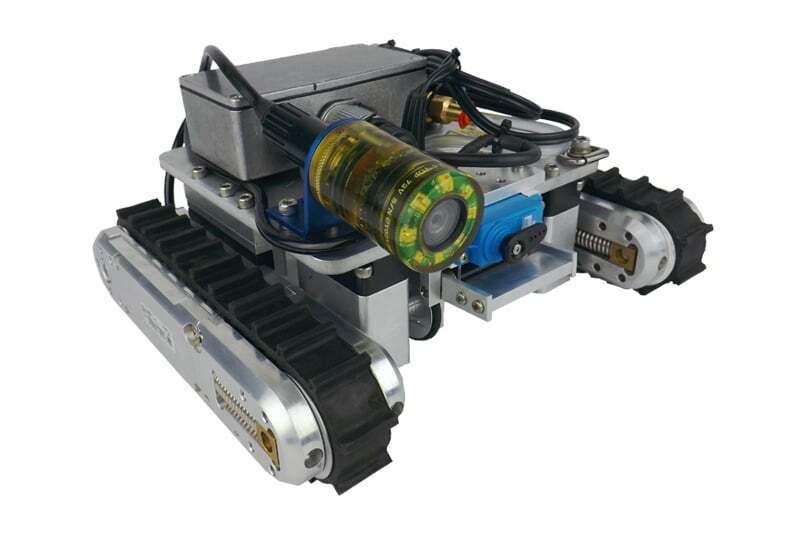 Inuktun’s MaggUTTM is a durable and rugged portable crawler that is suitable for ultrasonic and visual inspections of a variety of objects such as pressure vessels, steel storage tanks and large diameter pipes. With its built-in OlympusTM UT probe and choice of up to 30 metres of control, coax or couplant hose cables, this product can be used to perform A-Scans or B-Scans on a wide range of flat or curved steel structures. 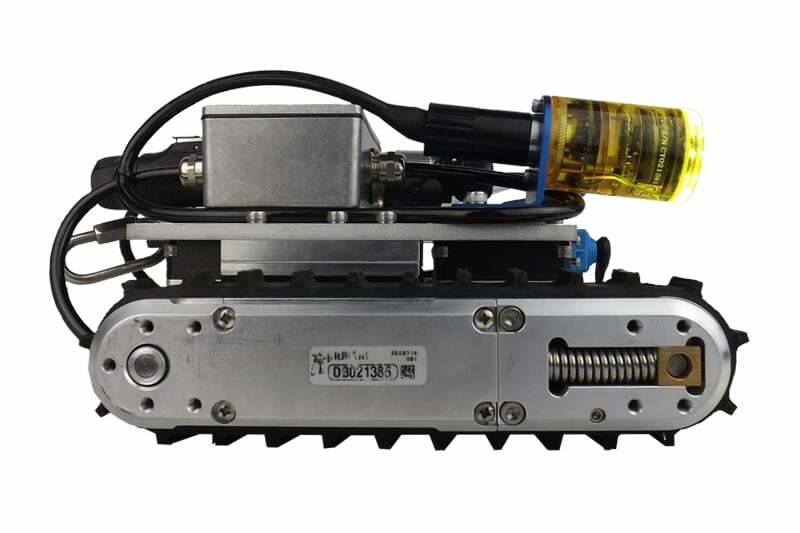 The robust structure, with its aluminium exterior and two versatile 4000 series MicrotractsTM crawler tracts, can withstand impact, high temperatures and extreme conditions in a variety of applications. The Crystal Cam with adjustable LED intensity provides clear and high quality image results and information from any surface. Even with its strong exterior, the MaggUTTM is surprisingly simple to manoeuvre. 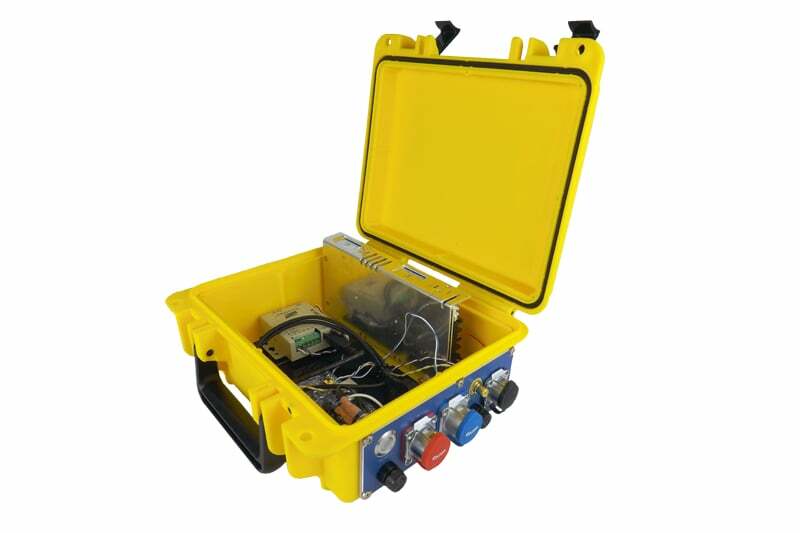 The built in joystick and portable interface box ensures easy navigation from a distance – making it ideal for accessing a number of hazardous or dangerous areas without the requirement of human entry, meaning less risks to human safety. Whether you need to access and inspect an oil rig, tanks and vessels, steel infrastructures or pipelines, the versatile MaggUTTM can do the job safely and successfully. In oil rigs, the system can establish tank wall dimensions from outside the tank, without any for tank cleaning and draining. It also inspects pontoons, columns and risers on site with ease. The device can access tanks and other vessels without requiring any human entry. This is especially useful in spaces where accessibility and environmental factors restrict human entry. A-Scans or B-Scans can be performed in-air or submerged, even while the tank is operating. The system is also manufactured to inspect steel frameworks on constructions such as buildings and bridges. It gives easy access and information about infrastructure that humans can’t access, like high steel walls. The MaggUT TM with its versatile design and robust features is the ideal solution if you are looking to significantly lower the costs of manual inspections. At a combined weight of only 0.34kgs, the camera and control system deliver a range of heavyweight benefits with remarkably lightweight construction. 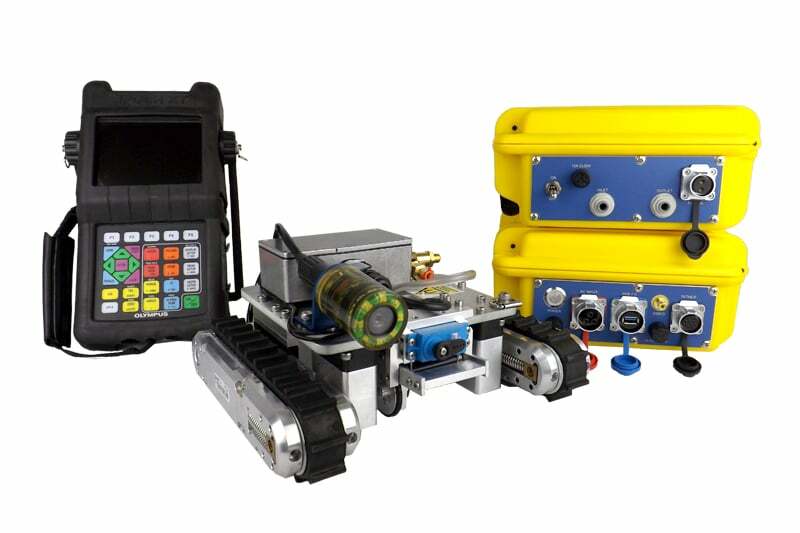 Contact us to find out more about the MaggUT TM or any of our other robotic crawlers and tractors, or CCTV inspection cameras.